It's great to be back. It has been an eventful week for my country. There is a new sense of patriotism in the air that you just can't miss. And while changes are happening and anticipation is high, I have decided to finally blog again after a long hiatus. I have been making bread rather frequently, almost weekly. No, I don't use a bread machine. I think it takes the fun out of it. Besides, as Paul Hollywood says, it takes only about five minutes to mix and knead by hand. So a good old upper body workout (or hardly) and an oven is good enough. 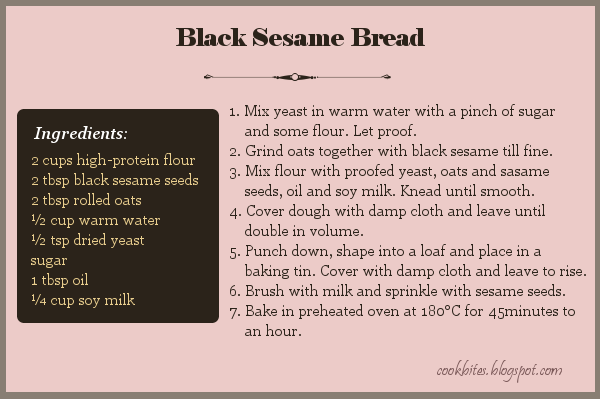 In this post, I'd like to share a recipe that is slightly fancier than the usual knead-wait-knead-bake method. This one is basically simple but it just looks much prettier. It requires additional effort too since you'll have to prepare two doughs, and then roll them out, stack them, and roll 'em up. I did find that the green wasn't as green as I hoped it would be. So next time I would use more pandan leaves for the green dough. Actually, you could just leave it plain. But I like the smell of pandan too (other than just for the colour). At first glance, it looks like an ordinary loaf of homemade bread. Mine always have a strange bump in the middle. I don't know why.... Anyway, the magic is revealed only when you slice it. Remember to let the bread cool off before cutting, especially if you have a toddler taster like mine. 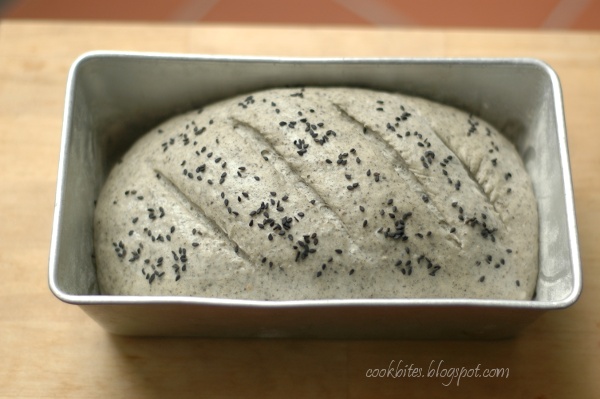 I usually take the loaf out of the tin straight after it's baked, otherwise it tends to "sweat" and gets soggy. Our baby girl turned one recently. Yes, time flies. 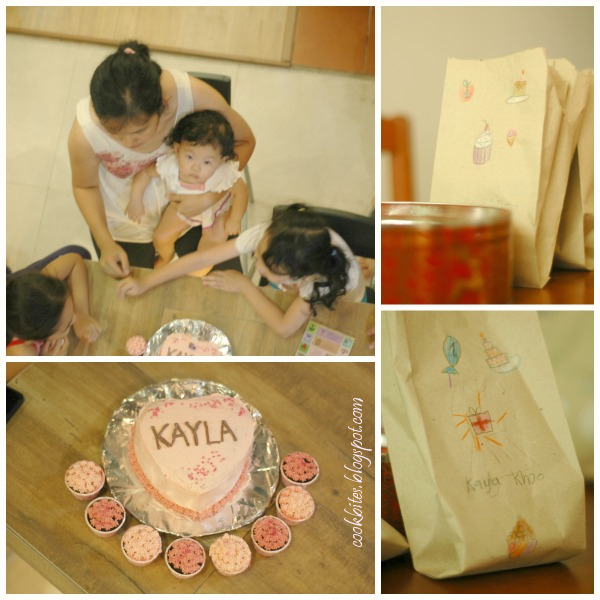 We had a small party for her with grandparents, auntie, uncles and cousins. I was planning what cake to make for her much in advance, for the was a tiny problem. She had bad eczema when she was a young baby. Most of it has cleared but she and I have been avoiding eggs (I avoid them too because I'm breastfeeding). Although I do plan to introduce small amounts in her diet with the intention of desensitizing her, her first birthday wasn't the time. So I tried several recipes beforehand. 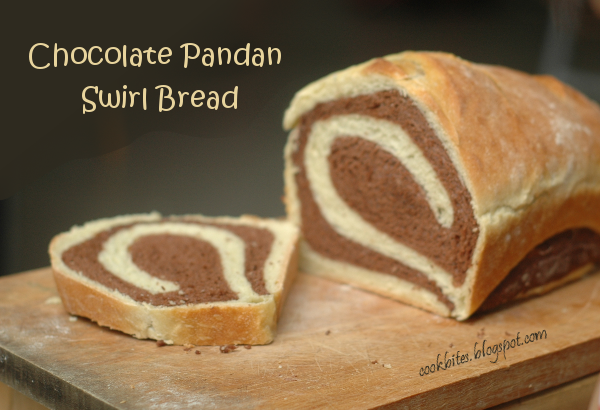 I pored over Pinterest, tried the condensed milk version and a few others. There were crumbly or had less than desirable taste or texture. 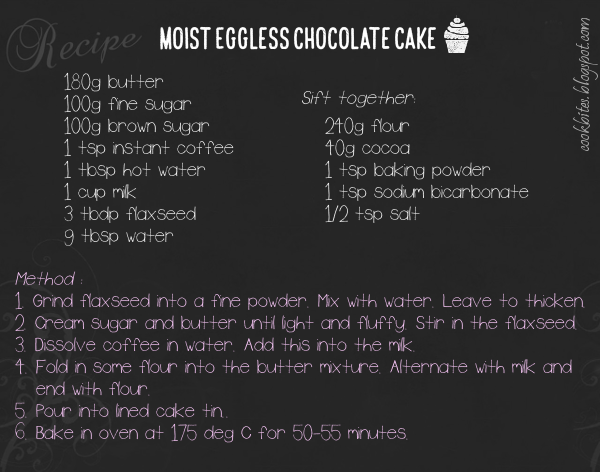 Finally, I decided to modify my favourite chocolate cake recipe by replacing the eggs with flaxseed. The result was perfect! 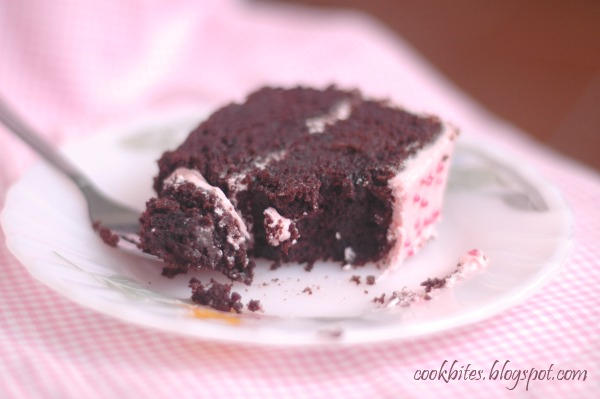 The cake was moist, yummy and does not fall apart easily. So on her birtday I made this cake and iced it with pink buttercream frosting. I had extra batter since I was using two small cake tins, so I made some cupcakes with them. Emma, our eldest daughter decorated the party bags which were to be given to cousins and neighbours. Kayla enjoyed her first cake. We let her make a mess and cleaned her up later. So cheers to our little girl who just took her first steps yesterday. Sweet baby is also singing and talking and we're soaking up every precious moment. 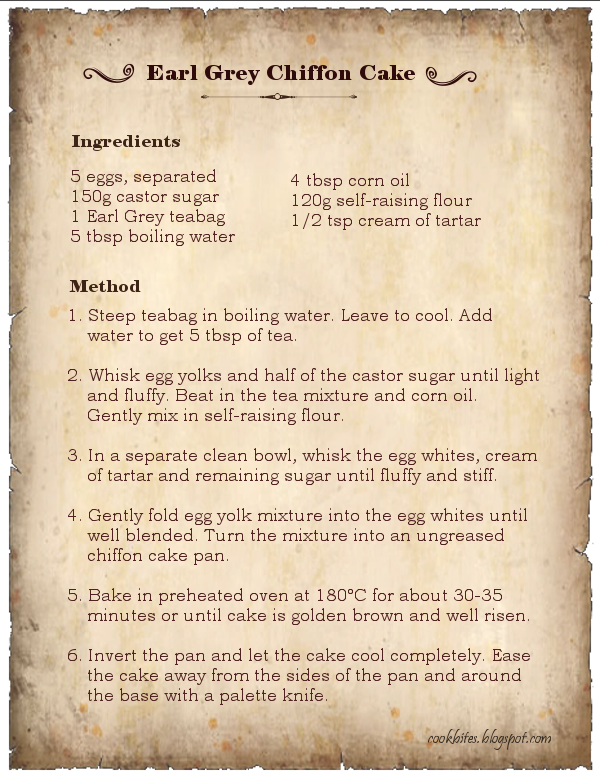 Okay, okay, here's the recipe. Easy peasy. It's almost a year since I've birthed my baby at home. Although I've had several challenges throughout the year, particularly for dealing with eczema, I would say it has been an easy breastfeeding journey. Sure, it's not easy going on a restrictive diet but I didn't have issues with insufficient milk. Unlike the first child, I don't have to pump for this one. Direct feeding on demand is best milk booster ever! Of course eating right is also important. There are many so called "milk boosters" and galactagogues like oats, fenugreek seeds, red dates and others. Many also know that the moringa leaves are good for lactating mothers. 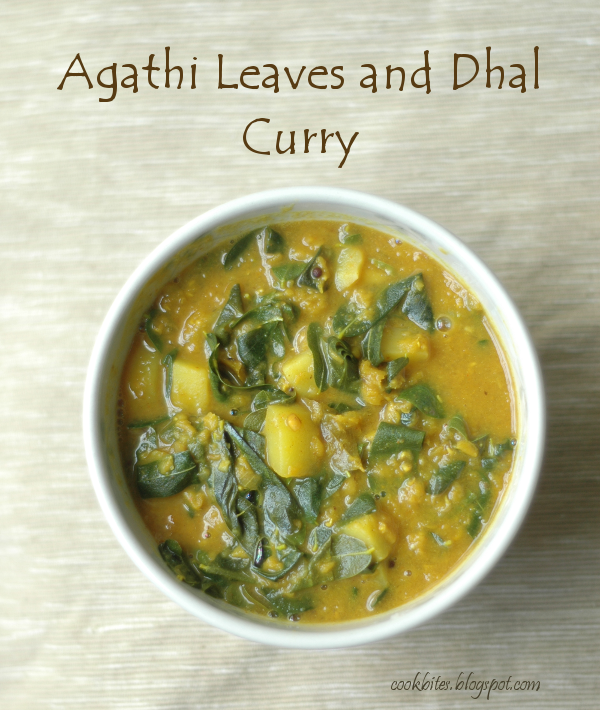 However, I doubt many know about Agathi leaves or "daun turi" in Malay. 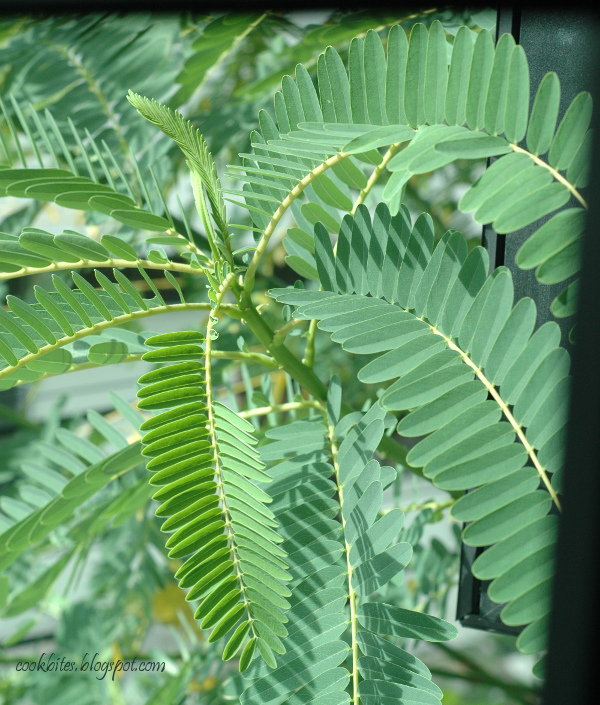 The tree is almost similar to Moringa but I find that the leaves taste better and are definitely much easier to handle. Here, I'd like to share how I prepare a dish with these leaves. I'm blessed to have this tree growing just behind my house with it's branches reaching out to my window. It is my neighbour's tree but rest assured that we've been given permission to take the leaves for our consumption. It's often my solution when I've run out of green vegetables and don't have to time to go grocery shopping to get some. Unlike the moringa leaves which are tiny and fiddly to remove from the stalks, these leaves are larger and can be plucked off easily. 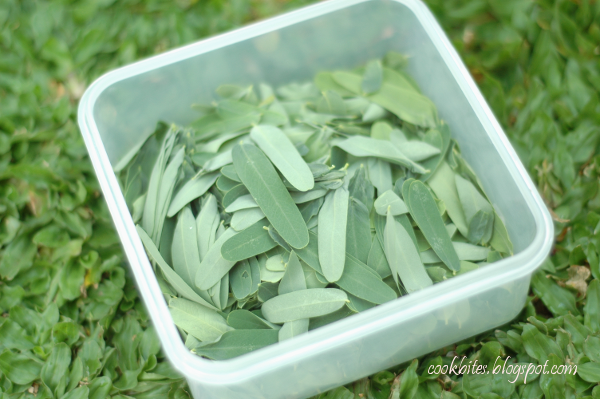 So here I would like to share not so much the recipe, but an idea of how we can use these leaves in cooking. I usually don't use exact measurements, everything is just 'agak-agak'. I make my curry quite mild for the sake of my older daughter. I think it would taste better with more curry powder and a dry chili. Although I don't use a proper recipe, some people do ask me for it so I try my best. 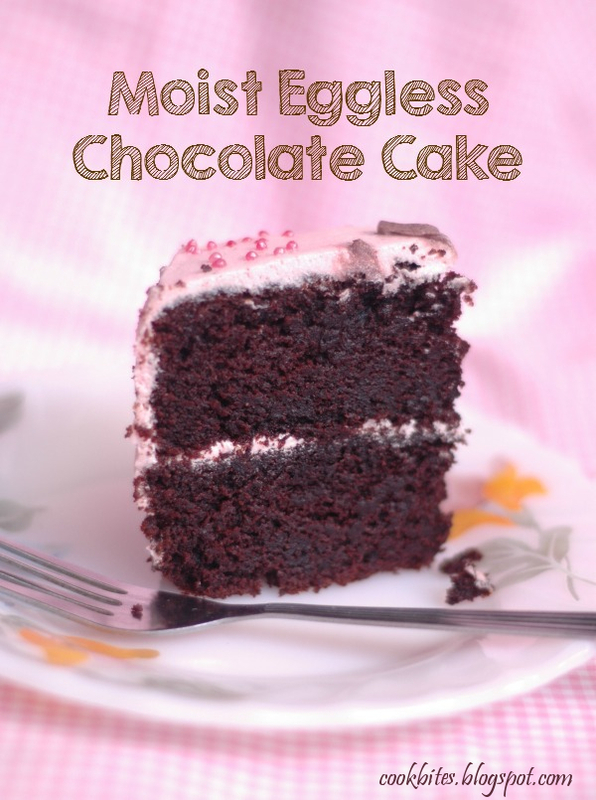 This is actually a quick and easy recipe, suitable for busy moms. 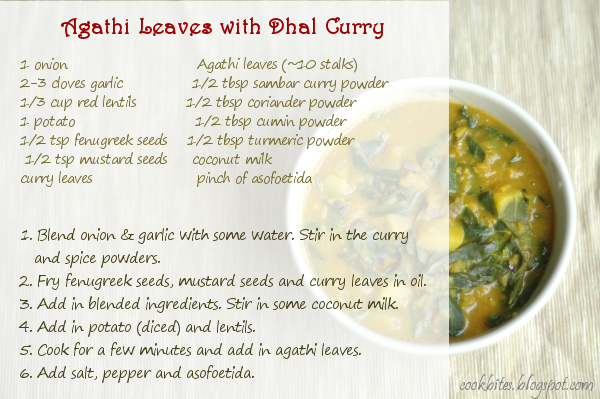 I use red lentils since they are easy to use and don't require pre-soaking.The fenugreek seeds and lentils are also known to support breastmilk production. So, this might just be the perfect milk booster for some. To all breastfeeding moms, well done! And do enjoy the journey while it lasts. I finally have the time to update my blog. I've been busy with a new sweet baby girl. Also, I told myself I had to finish my birth story before updating my food blog. This is a recipe I came up with when I was pregnant. I was told that I was anemic and so I tried several ways to bring my hemoglobin level up. I knew that the iron pills given to me would not do anything than give me constipation. So I took blackstrap molasses, black beans, red beans and black sesame. 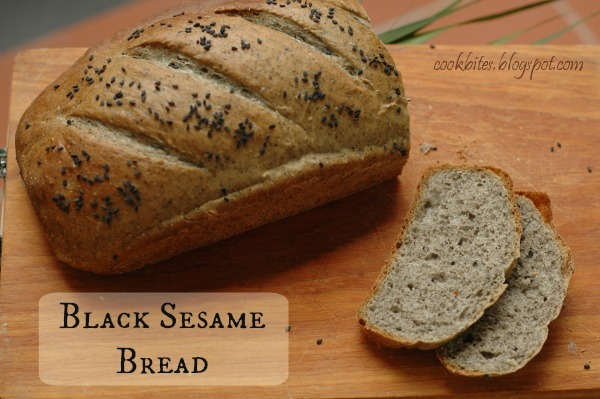 I decided to experiment making bread with some of the black sesame seeds. I added oats as well. The results were satisfying. 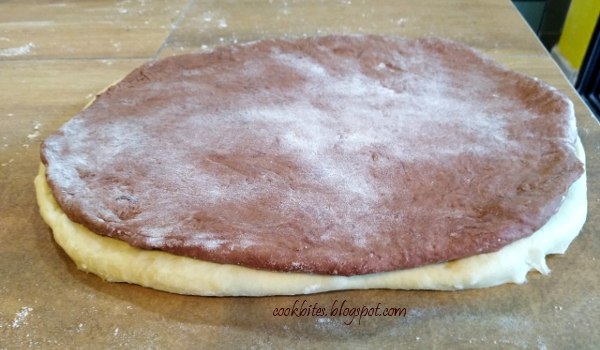 The dough was grayish looking with a soft texture. Take care, folks! I hope to post again soon. Happy baking! Some years back we made a trip to my father's hometown in beautiful Pangkor Island. My gracious and generous aunt made sure we had scrumptious dishes with fresh seafood with every meal. 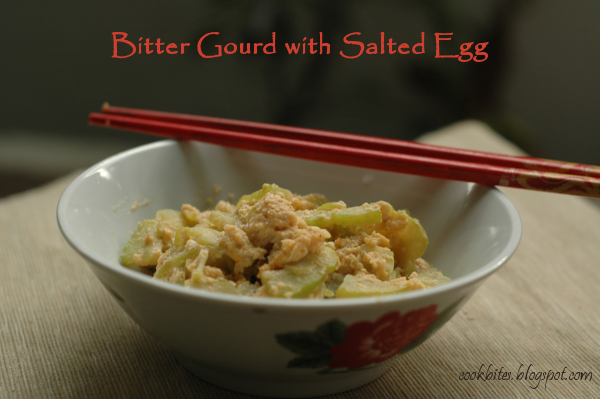 One of the wonderful food we fell in love with was a simple bitter gourd dish. 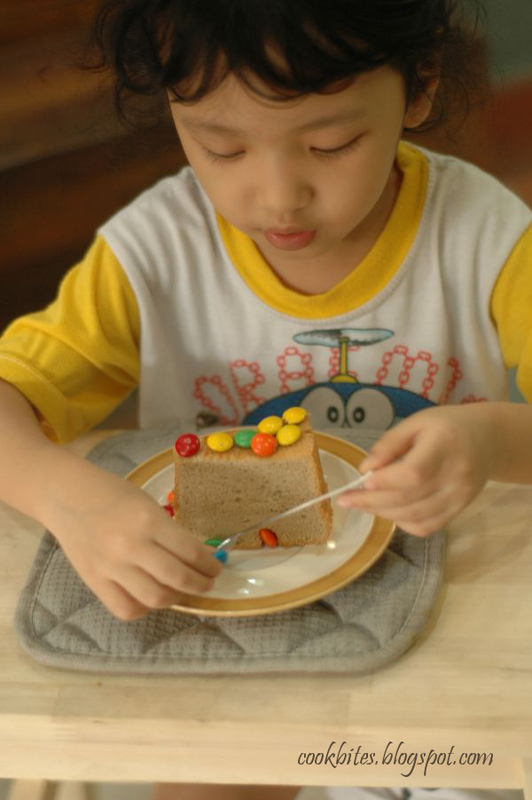 We tried several times and different ways to reproduce it at home, but it never came close to the version we had. Until finally, we found the right way to do it. It may not be exactly the same as what we had, but it's close enough. What I like about this dish is that it's simple, healthy (I think) and tasty. 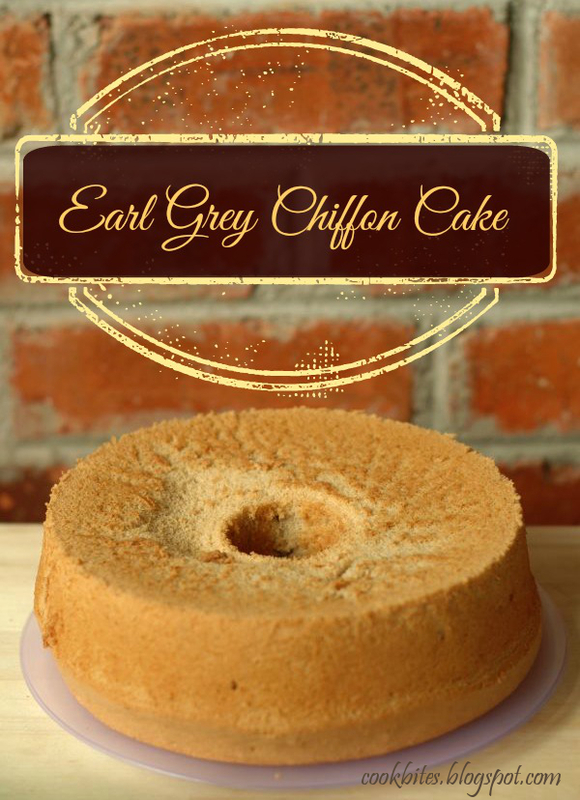 It takes only 3 ingredients and a few minutes to prepare it. I didn't even add any salt or pepper. 1. Separate yolk from egg white. Steam the egg yolk only. 2. Mash the egg yolk and beat in with the egg white. 3. Fry garlic with oil slightly. 4. Add bitter gourd and some water. Cook until soft. 5. Pour in the egg and stir fry for about a minute. Easiest recipe ever. It's perfect for busy nights or lazy days. Now it's Lent and it's time for me to put aside the hectic baking schedule and focus on the next BIG event... the coming of a second child. 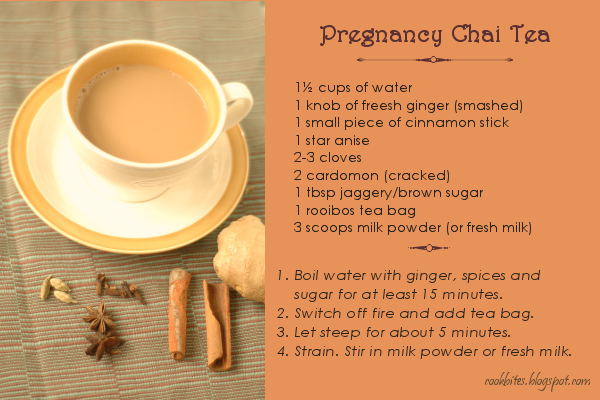 So, while mentally preparing for birth and practicing relaxation etc, I'd like to share a caffeine-free tea recipe that's safe for pregnant mothers to consume. 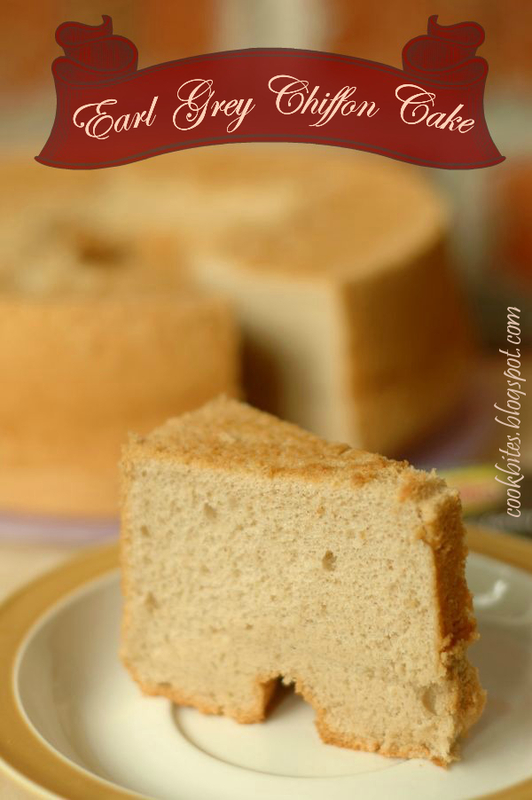 I use rooibos tea in this recipe but if you don't have any, you can just omit it. You may add a teaspoon of blackstrap molasses. It's nutritionally beneficial, especially if you're anemic. Okay folks, hope you'll give this a try, whether or not you're pregnant. It's time for me to do some meditation and relaxation..... or maybe later. It has been way too long since I last posted. Christmas has passed and Chinese New Year is approaching. While I wish I have time to post some recipes for the festive goodies, I just don't have the time, especially to shoot the photos. So here's something I did sometime last year. I made an orange chiffon cake for after rosary snack but it turned out kind of flat, so I simply had to try again. 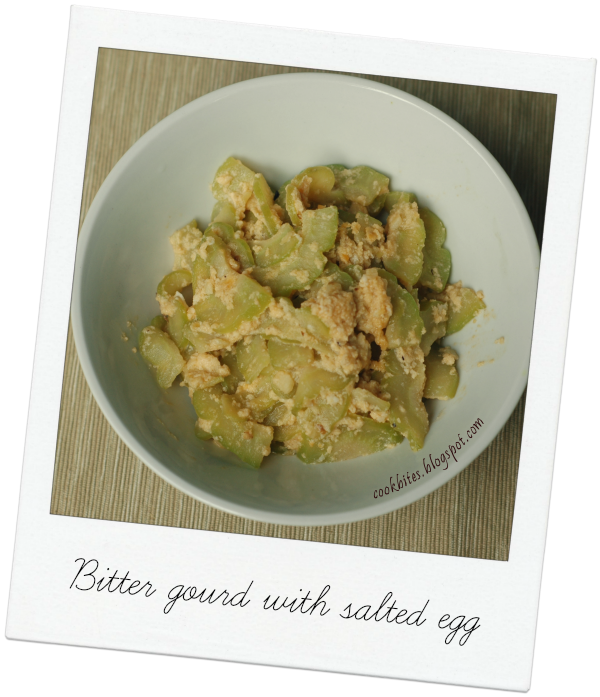 The second time around, I used a different flavour and wasn't as timid as I was about mixing the beaten egg white with the egg yolk mixture. I'm happy with the way it turned out. It was soft and spongy and held its shape at the same time. Here's the recipe. You may change the flavour to whatever you prefer. If using citrus fruits, remember to add the zest as well.